Blend of 21 essential aquarium elements that improve the overall condition of a fish tank or aquarium and help to increase a fishﾒs resilience to disease and illness. They’re Barely There, But Trace Elements Really Do Care! Aquarium Core Elements contains a blend of the important trace and macro elements to ensure your Aquarium is safe and healthy. The water-soluble vitamins act as coenzymes and have a catalytic effect to improve all metabolic processes. 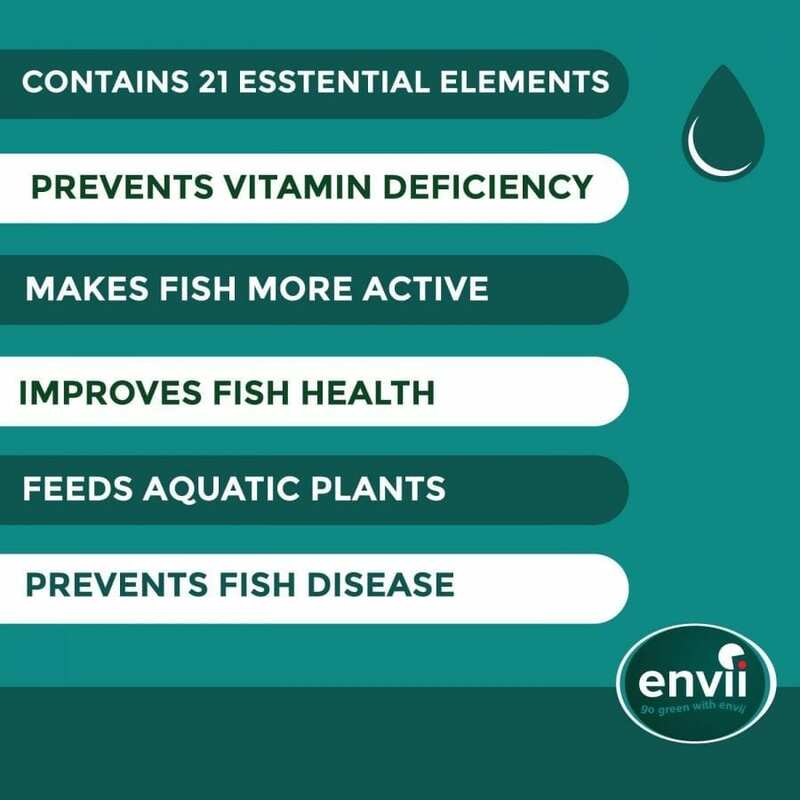 Containing a complex blend of 21 essential trace elements, it prevents vitamin deficiency in aquariums and replenishes vital trace elements that have been lost through rapid bio processes. All elements help improve the health of both fish and aquatic plants. Magnesium prevent premature calcium precipitation which can lead to stunted growth, whilst Iodine helps prevent health disorders such as goiter. Aquarium Core Elements also includes a vitamin B complex which is known to improve fish health, growth and nervous function. Both freshwater and saltwater aquariums can use Aquarium Core Elements to improve fish strength and health. What Are Trace Elements and Why Are They Important? Trace elements are essential when creating a fully functioning aquarium full of aquatic life. A lack of these elements can cause problems among fish, from stunted growth to increased susceptibility against harmful diseases. Aquariums are recognised as artificial ecosystems as the life that exists in them, is living in a manmade environment. Therefore, artificial systems need water-soluble vitamins, as the organisms are unable to store these themselves and need a helping hand. Learn about the importance of aquarium water and the effects it can have on fish. Use in conjunction with Aquarium Klear and Water Tonic to provide the perfect, balanced home for fish. What minerals are included in this? How does this benefit my fish? All of the elements we have included support fish health and improve their resillience to disease. Cleans urine and sweat smells from mattresses and bedding using natural, beneficial bacteria. Eliminates the source of the odour and leaves behind a fresh floral scent, rather than just masking the odour temporarily. A food grade tap water dechlorinator designated to remove all chlorine and chloramines from tap water before applying to your pond. Using natural and beneficial Vitamin C, it conditions water and is safe for all fish, wildlife, pets and filtration systems. Natural bacterial product that clears cloudy and green aquarium water. The beneficial bacteria also help to prevent algae growth and promote a healthy fish tank.